Although deemed impossible only a few centuries ago, space exploration like flight are easily two of mankind’s greatest achievements. In fact, they are glowing exemplars of what the human mind is capable of attaining, when left to its own devices. 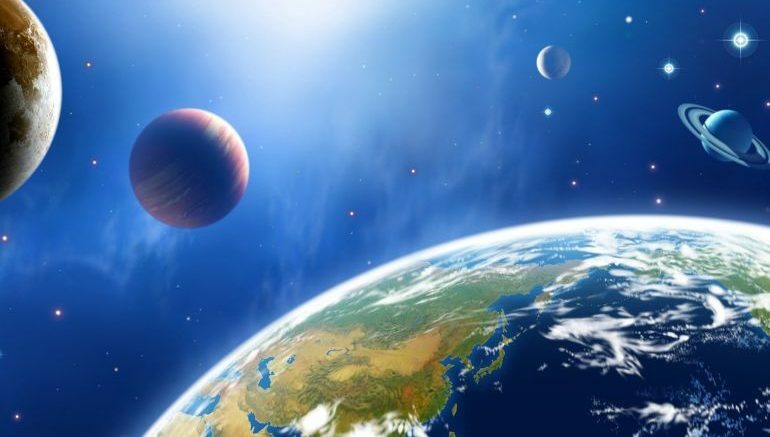 The outer space has long held an unshakable fascination, originating over 25,000 years ago with prehistoric men recording the phases of the moon on cave walls and bones. Later on, the advent of civilization brought with the study of the night sky, which is what we know today as astronomy. The so-called “Space Race” of the 1960s, between Russia and the United States, is what catapulted interest in deep space travel, culminating in the first manned space missions to moon. While this period in history is usually regarded as the golden age of cosmic exploration, experts believe that we are slowly entering an equally momentous era, thanks to groundbreaking new developments in the field of science and technology. So far, 2016 has seen two important milestones: the launch of European Space Agency’s Exobiology on Mars (or ExoMars) mission in March and the much-anticipated arrival of NASA-controlled Juno at Jupiter earlier this month. Coming up next is a bunch of other space probes, including the lift-off of the OSIRIS-REx craft that will reach near-Earth asteroid Bennu sometime in the middle of 2018. Each of these space missions is the result of several long years of research and hard work. Here, we have compiled a list of 8 of the most ambitious space missions that are scheduled for fruition in the near future. 1) Sun, here we come! You’d think that space missions to the sun would be impossible, given that its surface temperature reaches an astounding 6000 degrees Celsius. This in fact is a lot cooler compared to the temperature of its atmosphere, which reportedly rises to over a million degrees Celsius. However, that doesn’t seem to have deterred either NASA or its European counterpart, ESA. 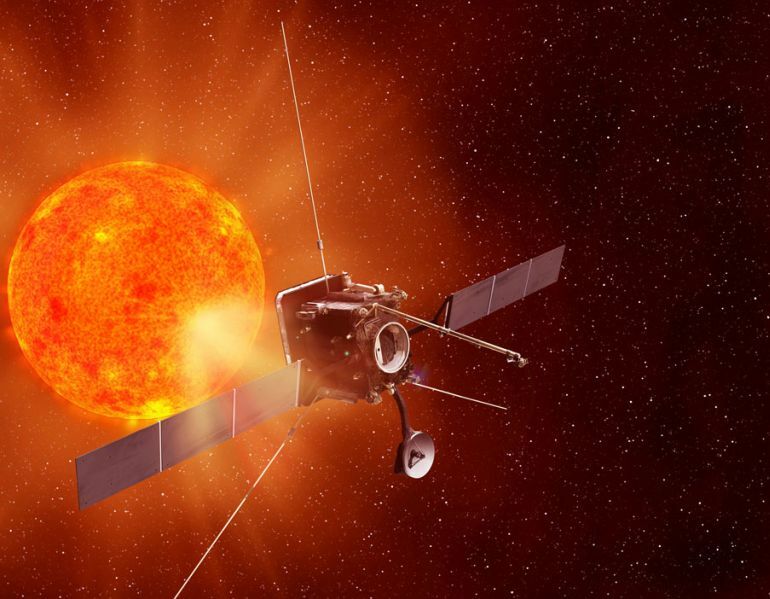 Currently underway are two separate space missions, namely NASA’s Solar Probe Plus and the Solar Orbiter (SolO) by ESA, each intended to observe the sun from incredibly close quarters. Solar Probe +, formerly known as NASA Solar Probe, is a proposed unmanned spacecraft that could theoretically approach the sun’s outer corona. Originally announced back in 2009, the mission is part of the space agency’s efforts to unravel the mysteries surrounding our solar system’s only star. To that end, researchers from John Hopkins University Applied Physics Laboratory are building a robust robotic spacecraft that will approach to around 8.5 solar radii (approx. 3.67 million miles) from the sun’s photosphere, with the help of gravity assists at Venus. A solar shield, fashioned using reinforced carbon-carbon composite, would enable the probe to survive the harsh solar environment, while also attaining speeds of up to 200 km/s (or 120 mi/s). If everything goes according to plan, it will be launched into space sometime in the middle of 2018. The European Space Agency is working on something similar: a sun-observing satellite, called Solar Orbiter (SolO) that is scheduled for launch in October of 2018. At its closest approach to the sun, it will be within 60 solar radii (about 0.284 AU). 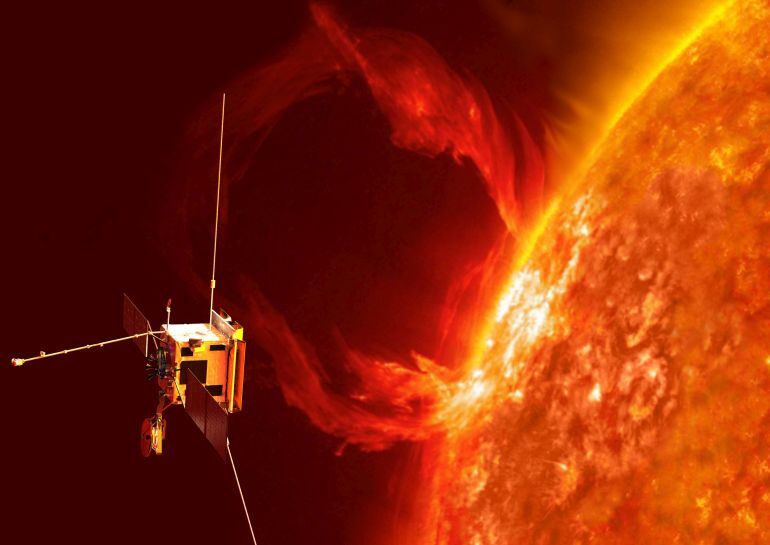 Like the former, the ESA-controlled space probe will be responsible for studying the sun’s inner heliosphere, taking measurements of the solar wind plasma as well as magnetic activities originating in its corona. Once operational, the craft will come close to its target every five months or so. 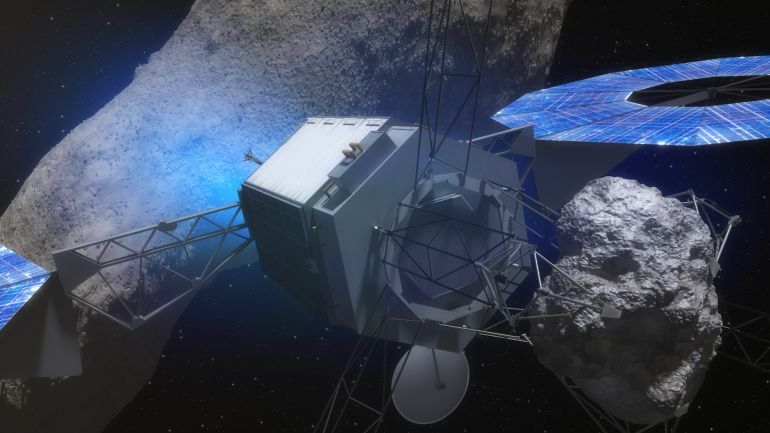 Currently in the nascent stages of development, the Asteroid Redirect Mission (ARM) is easily one of the most ambitious projects ever undertaken by NASA. 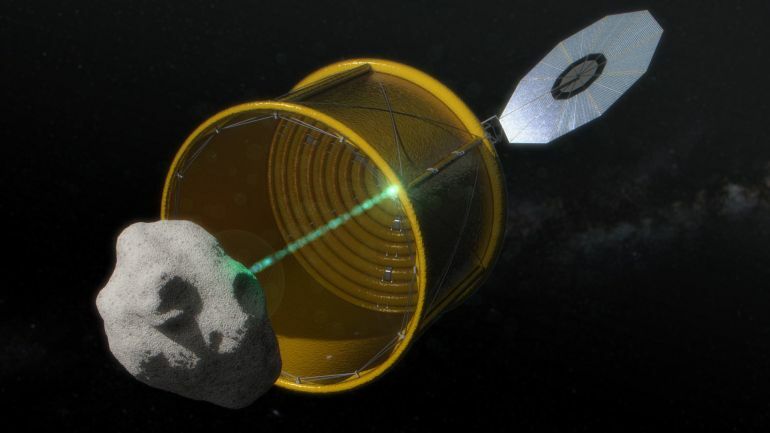 The initiative, which is also known as the Asteroid Retrieval and Utilization (or ARU) mission, aims to send an unmanned spacecraft to a stable near-Earth asteroid in the coming years. Once there, the probe will make use of special robotic arms to carve out a 6-meter boulder from the space rock’s surface. Following that, the multi-ton stone will be relocated to a relatively stable orbit around the moon. The newly-transported asteroid chunk will then be examined by unmanned space missions, which will in turn carry samples back to Earth. Asteroids, like the plethora of other space rocks, have long held the interest of astronomers, mainly because they could help unravel the mysteries surrounding the birth of our solar system as well as the origin of life in general. So far, several robotic spacecrafts, including ESA’s Rosetta and the much-talked-about Dawn probe, have rendezvoused minor planets and comets. At present, however, researchers at space agencies across the globe are working towards an even more onerous goal: sending humans to a stable space rock. Announced by U.S. President Barack Obama back in 2010, the mission would see astronauts travelling to near-Earth asteroid no later than 2025. As part of the Asteroid Redirect Mission, therefore, NASA will have a crew of four astronauts, on board the Orion spacecraft, visit the relocated boulder in the lunar orbit. Such a feat, scientists believe, could in turn facilitate human space missions to Mars. That’s not all, however. NASA hopes that the Asteroid Redirect would eventually pave the way for new technologies that could alter the course of a space rock heading towards our planet. This is indeed crucial, especially since asteroid impacts could potentially obliterate humankind form the fact of the Earth. Mars has long been a favorite for space explorers, with attempts to launch space missions to the Red Planet dating back to the early 1960s. Orbiters and rovers currently surveying the planet have dramatically enhanced our understanding of the Martian conditions. Presence of liquid water on its surface indicates that Mars might have once been habitable. 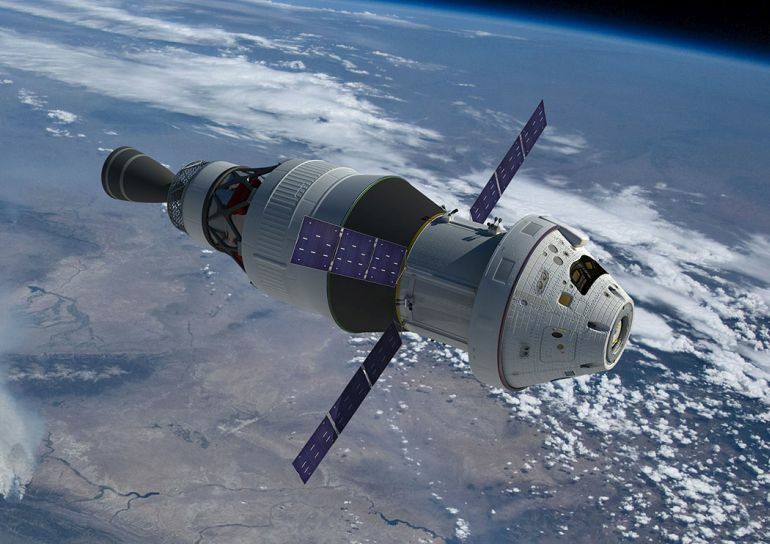 The recent decades have witnessed a sort of revival of the 1960s space race, with government agencies as well as private companies competing against each other to be the first to send humans to the Red Planet. The future of Mars exploration includes a number of carefully-planned human space missions that will unfold in the coming decades. NASA, for instance, is working on sending astronauts on board the Orion spacecraft in the 2030s. A continuation of the Asteroid Redirect Mission, the craft will be launched using an improved version of the Space Launch System (or SLS), and will feature a range of new technologies, such as solar electric propulsion and so on. In fact from December of last year to this February, the American space agency accepted applications for astronauts for its future manned missions to Mars. The ExoMars (also known as Exobiology on Mars) is a proposed mission that will be jointly conducted by the European Space Agency and Roscosmos. The initial goals of the mission include sending an orbiter and a lander to the Red Planet by 2020 to investigate its surface as well as atmospheric conditions. Following this, it will make preparations for landing a crew on Mars sometime between 2030 and 2035. In recent decades, several private space companies have mushroomed, in response to the monopoly of government-run agencies. Elon Musk-founded SpaceX recently announced plans to dispatch an unmanned spacecraft to Earth’s neighbor as early 2018. The company is currently working on Red Dragon, a low-cost Mars mission that could carry a crew of up to seven astronauts to the planet by 2026. The craft will rely on the Falcon Heavy launcher to shoot into space. Other private enterprises working on future manned space missions to the Red Planet include Mars One, a Netherlands-based company that revealed plans to send four people by 2026 as part of $6 billion project. Dennis Tito-owned Inspiration Mars is another organization with similar goals, although it is believed that they have been abandoned since 2014. 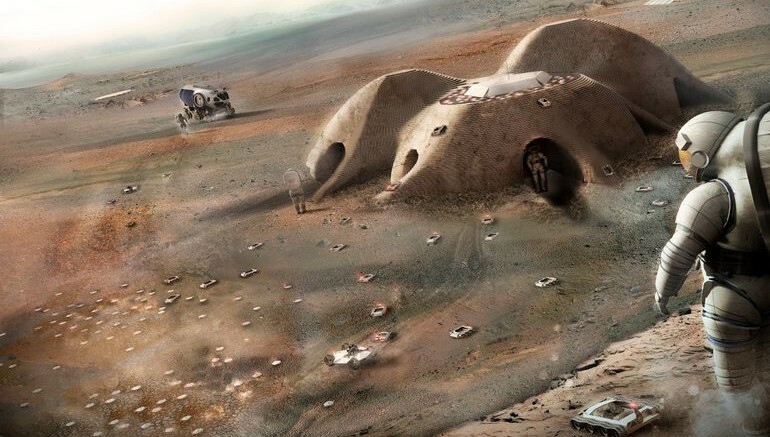 Before humans can colonize Mars, we will have to construct proper infrastructure that support human habitation. For several years now, NASA has been inviting designers and innovators to come up with Martian habitats that could allow mankind to settle on the Red Planet, without any risk of extinction.